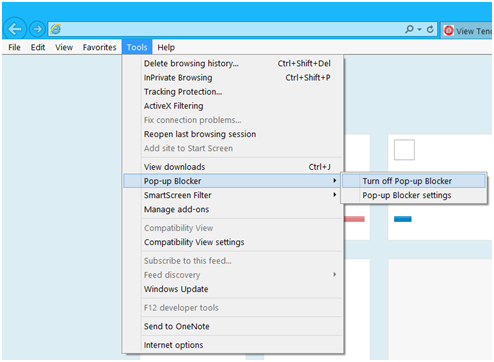 Open the Internet Explorer, go to Tools>>Pop-up Blocker and click on Turn off Pop-up Blocker. 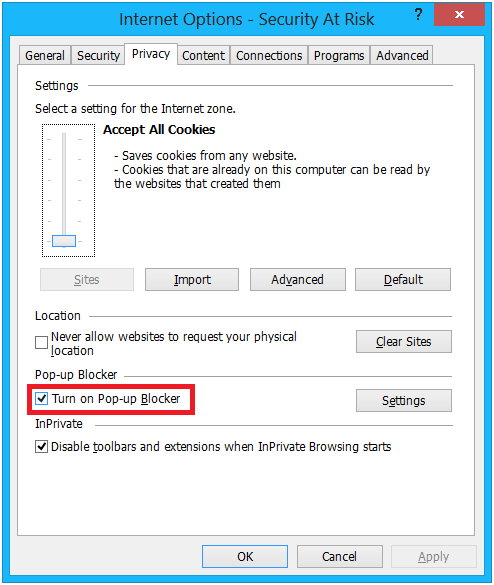 Open the Internet Explorer, go to Tools and click on Internet Options, click on Privacy tab and uncheck the box shown in below screen for Turn on Pop-up Blocker. i changed the settings as u mentioned but still when i entered in that and clicking the download its not working. so i checked the setting again its getting automatically changed, the option which i gave the tick symbol are gone and became normal. so please help in that part sir. There were some issues with IREPS, now it seems that they have resolved the issues. Now you will not found 404 error and all the PDFs will be open. There may be some issue in IREPS website, please check after sometime. Try to upload the document with different document description and it will be successful. In recent some days I have face a particular problem on IREPS portal. I mainly surf the portal in very midnight and in morning also. But IREPS doesn't display any page in midnight as well as in morning also And says "This site can’t be reached". .I thought it's a problem of my own browser (IE 11 & Google Chrome, Windows-7 SP-1) or ISP but other all sites shows ok, not only that in hours later IREPS works fine . Please I feel helpless. Is it you default routine or new rule then I don't know. If so, then please let us know, because I am trying to open it in that time by all means. There may be some maintenance work during that duration. Financial tab on .ireps apoorti aap is not opening..